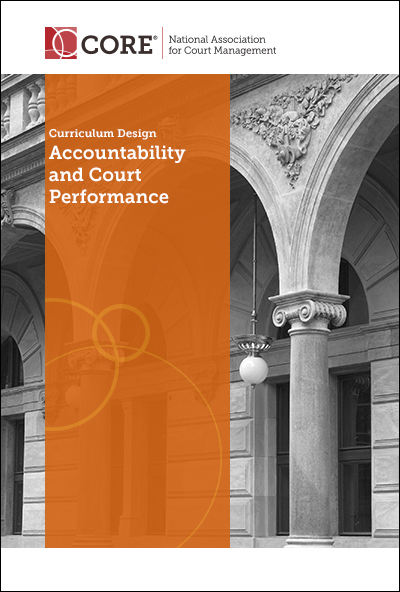 This Accountability and Court Performance Curriculum introduces participants to tools that assist court leaders to move from performance measurement to managing performance based on those measurements. The course focuses on achieving competency in analytical skills to organize, collect, and analyze data; management skills focused on applying the knowledge gained from the data with the goal to improve the performance of operations; and communication skills to convey information about performance. The following learning objectives for this curriculum are designed for a comprehensive course on accountability and court performance. Identify educational needs based on an assessment of the local court’s readiness to implement performance measures.